Hello and Happy Friday! 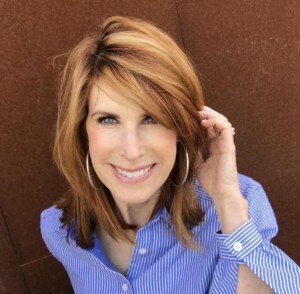 I am so excited to share with you that Chic at Every Age is partnering with Rachel Zoe’s Spring 2019 Box of Style! We are all so happy to share the box with you and give you our unique code so that you can get this box that retails for over $400 for $99 and less $25 off with Chic25! This is a great box full of amazing products, and I can’t wait to tell you what’s inside. Let’s get started! The first item in the Box of Style is the beautiful Chan Luu 100% Silk Scarf(retails for $105) we are all wearing. You all may know of Chan Luu from her fabulous wrap bracelets, but she also has other accessories. When you order the box, you get a choice of either the floral scarf that Samantha and I are wearing or the leopard scarf that Natalie and Heather have on. Either scarf is gorgeous to add to a spring look and can be worn lots of different ways. The second item is the genuine Leather Pouch or clutch by Tribe Alive (retails for $78). It holds a phone, card case, keys, and lipstick. I love the way that Rachel says to use it. 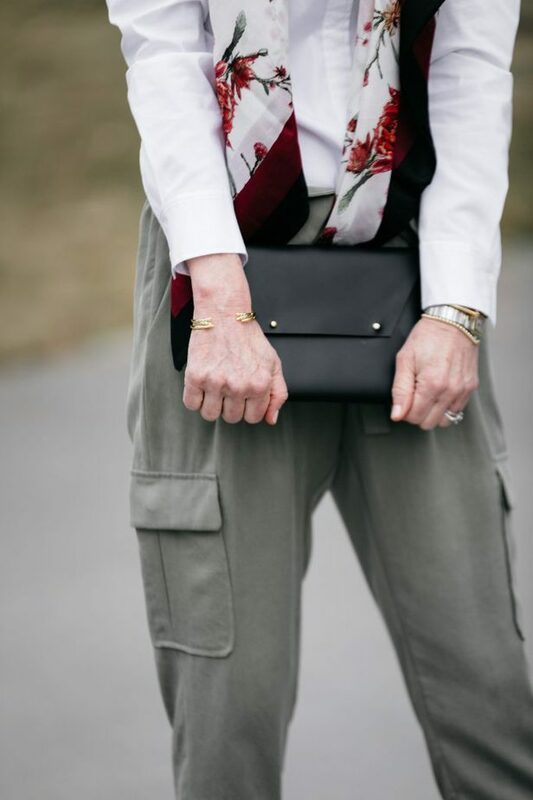 She keeps it inside a bigger bag and then uses it as a clutch for appointments, or lunches. Number three product in the box is the Gold Talon Bracelet Set (retails for $215) from Michelle Campbell. Y’all these bracelets are so beautiful, and I have enjoyed wearing mine so much already. They are brass with gold color plating and have pave stones. They are adjustable and so comfortable to wear! Another tip from Rachel is always to mix metals. The bracelets are the perfect dainty pieces to mix with other bracelets or a watch. The fourth item is Gold Rush Eye Balm (retails for $65) from Edible Beauty Australia. This product is a full-size balm with all-natural ingredients like coconut oil and gold leaf and is perfect for all skin types. It helps reduce puffiness and smooths and rejuvenates the eye area. It can be used morning and night. 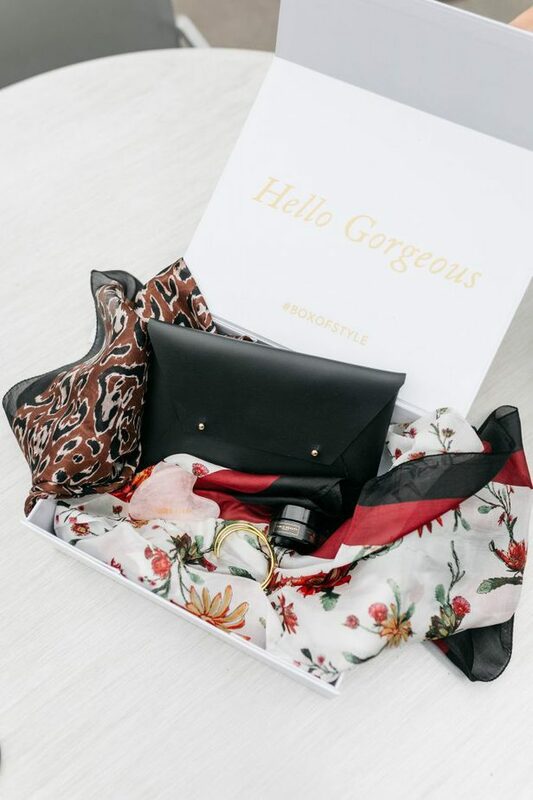 The last item in Rachel’s Box of Style is the Rose Quartz Heart Gua Sha stone (retails for $32) from Skin Gym. This stone helps drain puffiness and toxins with regular use and contours and smooths fine lines. It’s a natural way to lift sculpt the face. It also relieves jaw tension. The Gua Sha is easy to hold on to and easy to use. All of these products are so fun to have and use, but an idea would be to give them separately as gifts. These products total up to almost $500, and Rachel is selling the entire box for $99, but you all get $25 off of that because she loves that we love our readers! So you can get everything for $74.99 when you use code CHIC25 at checkout! It’s super simple to sign up. You can choose whether to get one box at $99 (less your discount), get the Spring and Summer box for $199.98, or get a year of boxes (4 in total) for $349.99. If you’re based in the US and you choose the annual membership and pay upfront, you will get a free Amazon Echo Look ($99 value). What is the Amazon Echo Look? 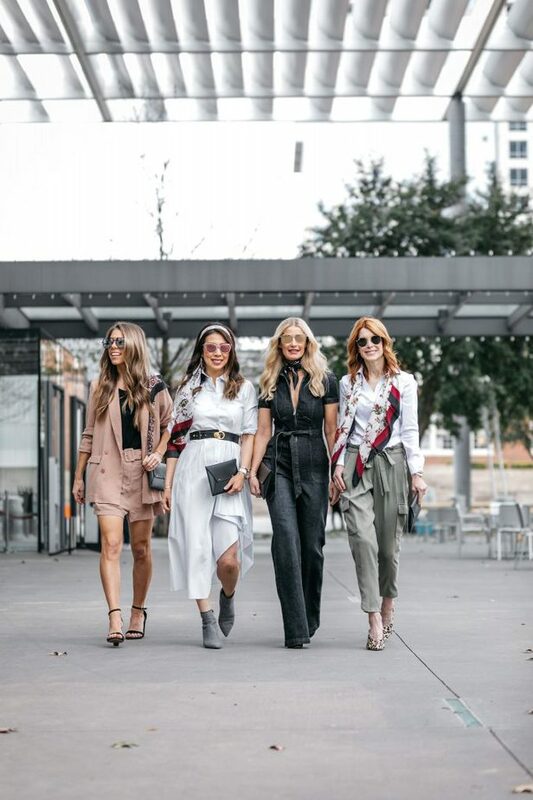 Its an internet-connected camera and smart speaker that you can see your outfits in real time and get expert advice on them (how cool!). These boxes make great gifts too! I don’t have any plans and am so happy! I want to stay in my pajamas tomorrow all day if I can and catch up on a few things around here. It’s supposed to be cold and rainy, so it’s the perfect day to do so. I hope you have the best weekend! Thank you for reading the post! Thank you, Rachel Zoe, for sponsoring this post! 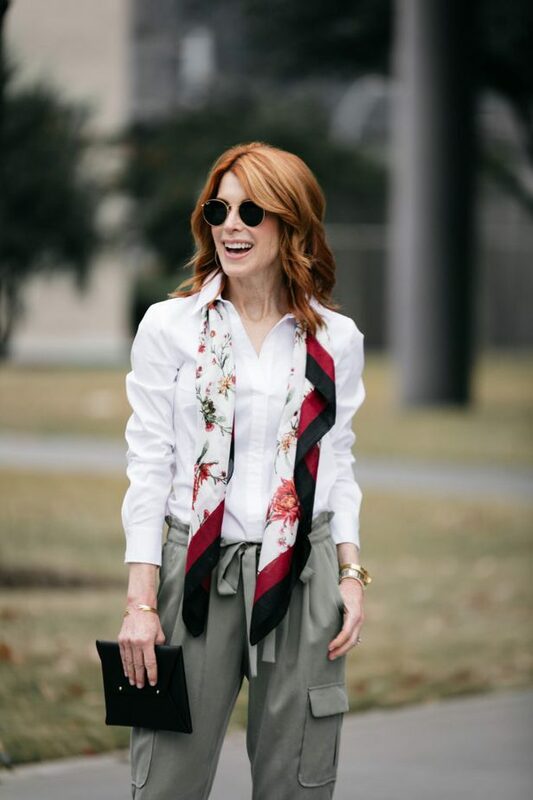 Share the post "RACHEL ZOE SPRING BOX OF STYLE- CHIC AT EVERY AGE"
How exciting and you look amazing as always.